The summer of 1927 began with Charles Lindbergh crossing the Atlantic. Meanwhile, Babe Ruth was closing in on the home run record. In Newark, New Jersey, Alvin âShipwreckâ Kelly sat atop a flagpole for twelve days, and in Chicago, the gangster Al Capone was tightening his grip on bootlegging. The first true âtalking picture,â Al Jolsonâs The Jazz Singer, was filmed, forever changing the motion picture industry. Â Â Â Â All this and much, much more transpired in the year Americans attempted and accomplished outsized thingsâand when the twentieth century truly became the American century. 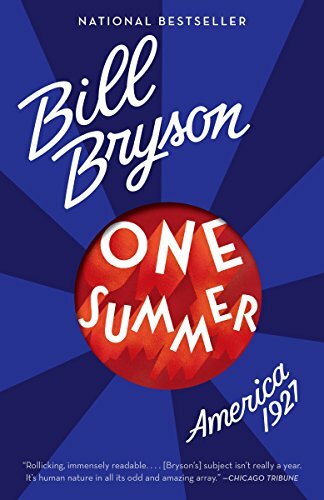 One Summer transforms it all into narrative nonfiction of the highest order.